Nolan Bushnell was creative, energetic, even visionary, but there is one thing he was not: a particularly accomplished engineer. He remained an eager and quick learner, reading up constantly at Ampex, but his true genius lay elsewhere. Therefore, when he decided to turn Spacewar! into a commercial product, he could not do it by himself. Fortunately, he shared an office with a skilled engineer named Ted Dabney. Possessed of none of Bushnell’s blazing ambition, Dabney complemented his office mate’s drive with an ability to solve nearly any engineering problem Bushnell could throw at him. Together they would establish a company and release a product that heralded the arrival of a new form of entertainment. On the flip side, because Nolan Bushnell has garnered the lion’s share of attention over the last four decades for his role in creating Computer Space and Atari, there has been a tendency to perhaps focus too much on Dabney relative to Bushnell in recent publications. This is perfectly understandable under the circumstances, but it does mean that Dabney’s contributions and his recollection of events have not always been subjected to the same level of scrutiny as Bushnell’s. While Dabney certainly deserves his share of the credit for Atari’s earliest successes, there are still certain areas where I am not convinced that his recollections are entirely accurate. This is not in any way an assault on Dabney’s character: it’s just after forty years the memories of all those involved can become hazy. Samuel Frederick “Ted” Dabney, Jr. was born in San Francisco, California, in 1937. 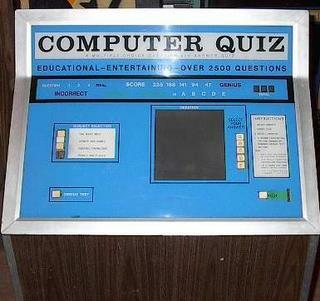 According to his Computer History Museum oral history, he was an aimless youth with a mediocre academic record and no idea what he wanted to do with himself after school. 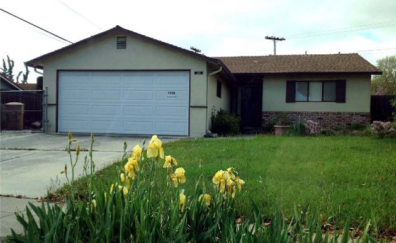 After performing poorly at Los Gatos High School, Dabney entered a trade school when his family moved back to San Francisco and decided to focus on drafting because he had enjoyed a prior course in analytic geometry. This led to a job as a surveyor at age 16 with the bridge division of the California Division of Highways helping to build the San Francisco freeway system. Deciding he needed an education despite his academic indifference, Dabney enrolled at San Mateo High School, where he continued to struggle in most subjects, but received an excellent math education from a teacher named Mr. Walker, who covered everything from integral calculus to Boolean algebra. Upon graduation, Dabney secured a job as a surveyor, but after being laid off during the lean winter construction months, he opted to join the United States Marines. With his math and surveying background, Dabney planned to go into a specialty such as aircraft repair or electronics, but a difficult boot camp experience at Camp Pendleton ended with him in the artillery instead. Unhappy, Dabney managed to negotiate a deal with his drill instructor in which he received permission to sign up for a course at the Navy electronics school in exchange for extending his three-year enlistment to four years. After the 16-week course at Treasure Island and an additional course at the radio relay school at the Marine Corps Recruit Depot in San Diego, Dabney was well-versed in electronics. Dabney ended up exiting the Marine Corps early by gaining acceptance to San Francisco State in 1959, but he knew that he was not cut out for academic life and could not afford the tuition, so he never actually attended. Instead, he secured a job with Bank of America helping to maintain a prototype scanner intended for use with the revolutionary Electronic Recording Machine, Accouting (ERMA) computer, a joint project between the bank and the Stanford Research Institute that allowed bank and traveler’s checks to be processed automatically for the first time. After a year, he left to join Hewlett-Packard on the recommendation of a friend. That friend soon moved on to Ampex Corporation, so after only six weeks at HP, Dabney moved again to that company’s Military Products Division. According to an obituary in the March 1981 issue of the Journal of the Audio Engineering Society, Ampex founder Alexander Poniatoff was born in Kazan, Russia, in 1892. According to the article, Poniatoff knew he wanted to be an engineer from the age of seven when he saw his first locomotive, so he attended the University of Kazan, the Imperial College in Moscow, and the Technical College in Karlsruhe, Germany, to obtain degrees in both mechanical and electrical engineering. After serving as a pilot in the Imperial Russian Navy during the Great War and then serving in the same capacity for White Russian forces during the Russian Civil War, Poniatoff fled to Shanghai in 1920. He worked as an engineer for the Shanghai Power Company until 1927, when he immigrated to the United States. He became a U.S. citizen in 1932. According to a paper written for the Audio Engineering Society by John Leslie and Ross Snyder entitled “History of the Early Days of Ampex Corporation,” Poniatoff worked for General Electric and Pacific Gas & Electric before finding himself at Dalmo Victor Corporation in San Carlos, California, during World War II. A specialist in electric motors, Poniatoff was tasked by Dalmo to develop a line of small motors and generators for use by the United States military. Rather than manufacture this line in house, Dalmo president Tim Moseley decided to establish a separate company run by Poniatoff to do the work. Poniatoff and Moseley each took a fifty percent stake in the new company, which was named by combining Poniatioff’s initials (A.M.P.) with the abbreviation “EX,” which stood for excellence. The Ampex motor and generator business proved highly successful during and immediately after World War II, but the end of the war brought both a halt to the company’s lucrative military contracts as well as the fear that larger companies returning to peacetime manufacturing operations would soon squeeze Ampex out. Poniatoff and his key advisor, Myron Stolaroff, who joined the company in 1946, knew they needed to enter new product areas to survive and began searching for bright engineers to move the company forward. One of these hires, Harold Lindsay, pushed Ampex to enter the high fidelity sound system market, but the company ultimately went in a slightly different direction. In 1928, a German engineer named Fritz Pleumer developed a new way to record audio by coating a long strip of paper with a ferric oxide. This magnetic material was then passed under a recording head, which would generate an electric signal that would create a magnetization pattern in the oxide in the shape of the sound waves picked up by the device. While sound recording technology, and even magnetic sound recording technology (previously accomplished using steel wire), were not new concepts, magnetic tape recording provided audio that was virtually indistinguishable from a live performance and granted the ability to easily re-record or rearrange material without any loss of quality. Pleumer licensed his technology to AEG, one of Germany’s largest electrical equipment manufacturers, in 1932, which created the first practical reel-to-reel tape recorder, the Magnetophon, in 1935. Due to rising tensions between Nazi Germany and other European powers, the German government decided to keep the new technology a secret, denying this important advance to the rest of the world. During World War II, the Allies realized that the Germans had some form of new recording technology because Nazi leaders often appeared to be giving live speeches in several locations at the same time. 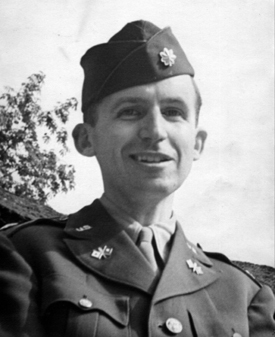 After the liberation of Paris in August 1944, the U.S. Army Signal Corps assigned a major named Jack Mullin to discover the truth behind Germany’s superior audio recording capability. According to an obituary for Mullin published in the Journal of the Audio Engineering Society in the September 1999 issue, Mullin finally solved the mystery shortly after the war ended when he entered a German recording studio and discovered a complete AEG Magnetophone K-4 setup. Mullin documented the devices extensively for the Army and received permission to bring two back home with him for his own use. 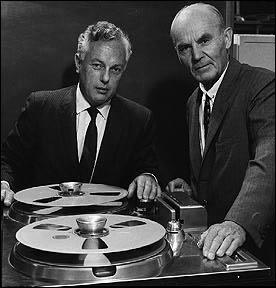 In 1946, Mullin and engineer and pioneer filmmaker William Palmer improved upon the German technology to create the Mullin-Palmer Magnetophon and began pushing tape recording in the United States. Mullin found a willing recording partner in popular singer Bing Crosby, who hated doing live radio shows. In 1946, Crosby had attempted to record his show for the ABC Radio Network to avoid giving live performances, but the quality was so bad that ratings plummeted. In 1947, he contracted Mullin to record the shows with his new Magnetophon, and ratings returned to a high level as listeners assumed Crosby was performing live again due to the high quality of the audio. Impressed, Crosby became a major investor in tape recording technology and even introduced it to his friend Les Paul, who pioneered the multi-track recording technique that remains the standard method of recording music to this day. Meanwhile, according to Leslie and Snyder, several Ampex engineers, including Leslie himself and Harold Lindsay, attended a demonstration of Mullin’s technology at a meeting of the Institute of Radio Engineers in San Francisco on May 16, 1946. Impressed, the engineers convinced Poniatoff to view the technology in a private showing, after which the company founder agreed this was a business Ampex should enter. With technical help from Mullin — who believed that he should help any American business interested in his technology because he had brought it back to America at taxpayer expense — Harold Lindsay and Myron Stolaroff designed the first Ampex tape recorder, the Model 200A. First shipped in early 1948, the Ampex equipment was soon being used by all the major radio networks to tape-delay their programming, and Ampex quickly rose to dominance in the nascent tape recorder business. By 1953, the year Ampex went public, company revenues had risen to $3.5 million. In 1956, Ampex achieved another major breakthrough by introducing the first video tape recorder. In 1959, Ampex restructured into five divisions, one of which was the Ampex Military Products Co. that hired Ted Dabney. By 1963, Ampex was bringing in $120 million in sales. According to his oral history, Dabney’s first project at Ampex was to create a Phantastron, a tube-based timing circuit that would allow the government to change the size of an image that was being converted from film to display on a CRT. Next, he joined a project developing an electron beam scanner to transmit the data from the 70mm film used by the U-2 spy plane to another location without having to ship the actual film canisters. One of his major responsibilities on that project was creating video amplifiers and gamma correctors using vacuum tubes. After six years in military products, Dabney had gained a great deal of experience working with video technology, so when his boss, Kurt Wallace, was asked to head up a new project, he brought Dabney with him to the new Ampex Video File division in 1966. 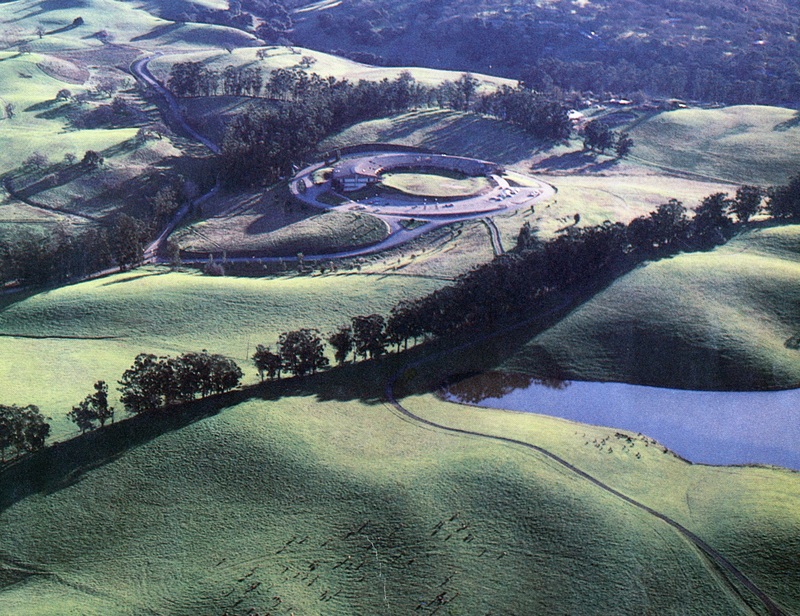 The Stanford Artificial Intelligence Laboratory, where Nolan Bushnell first saw Spacewar! As described by Marty Goldberg and Curt Vendel in their study of Atari, Atari, Inc.: Business is Fun, Video File was an ambitious file storage and retrieval system in which scanned documents were transferred to video tape to create a fully indexed and searchable document database that could be remotely accessed by multiple users in different locations. According to Dabney in his oral history, his primary duties at Video File were adapting a vidicon camera for use with the system, evaluating monitors and building the circuitry to allow them to interface with the system, and designing additional components such as power supplies. 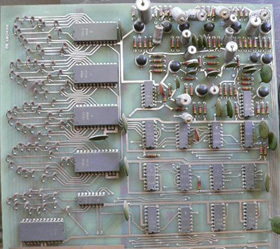 Much of the circuit design Dabney contributed to the project was virtually identical to the work he did in Military Products except that he used transistors rather than vacuum tubes. According to Dabney, Ampex found several satisfied customers for the Video File system including the Royal Canadian Mounted Police and the Southern Pacific Railroad, but the project was ultimately unsuccessful in part due to the high cost of the technology, but mostly due to the dissatisfaction of the Los Angeles County Sheriff’s department. According to fellow Video File engineer and future Atari collaborator Steve Mayer, as told to Goldberg and Vendel, the Sheriff’s department ordered a Video File system that was duly installed, but had neglected to order the microwave links that would allow the equipment in their field offices to interface with the main system, rendering the entire installation useless for its needs. Angered at the oversight, the department ultimately refused to pay for the system, making the Video File’s division’s already precarious financial situation completely untenable. One day in early 1969, Kurt Wallace brought a potential new hire named Nolan Bushnell into Ted Dabney’s office. According to Dabney, Wallace was clearly impressed with the fresh engineering graduate and wanted Dabney to convince him Ampex was the place to start his career. According to this author’s interview with Bushnell, the result was never really in doubt, however, because Ampex offered him more money than any other firm to which he applied and was therefore already his first choice. Before long, Bushnell had started working in the Ampex Video File division and shared an office with Dabney. According to his interview with Ramsay in Gamers at Work, Bushnell’s responsibility on the project was to help develop an error correction system to deal with “dropouts,” a loss of data during the recording process due to parts of the tape not receiving an oxide coating during manufacturing. As related by Goldberg and Vendel, Bushnell and Dabney quickly bonded over their shared love of technology and engineering and their similar family lives (despite their age difference, both men had daughters that were roughly the same age). The men became fast friends, and Bushnell soon roped Dabney into one of his latest obsessions, the Japanese strategy game, Go. 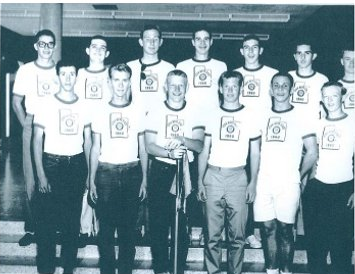 According to our interview, Bushnell was introduced to the game at the University of Utah, where he was number two board on the chess team, by the number one board, a Korean. His wife subsequently bought him a board for Chirstmas in 1967, and he became an avid player. According to Goldberg and Vendel, Bushnell and Dabney began playing Go so often at the office that Dabney built them a new wooden board with an Ampex logo on the other side. This board could hang on the wall when not in use, so any management that came by the office would be none the wiser. Go not only helped Bushnell and Dabney bond; it directly led Bushnell to the concept that would redefine interactive entertainment. With his restless nature and entrepreneurial bent, Nolan Bushnell was never going to be satisfied working for someone else on a standard engineer’s salary. Therefore, soon after joining Ampex, he was already plotting his next move to get rich through his own business. According to Dabney as related to Goldberg and Vendel, Bushnell’s first idea was a family entertainment concept that combined a pizza parlor with electromechanical contraptions such as “singing barrels” and “talking bears.” In his oral history, Dabney described this as a “carnival-type pizza parlor” and related that Bushnell roped him into scouting out locations together. Bushnell himself has denied this claim and has stated that his goal was always to create a video game like Spacewar!. In Gamers at Work, however, he admitted that he did not discuss video games with Dabney for several months after beginning work at Ampex. As Bushnell has stated his admiration for Disney (which featured several animatronic attractions at its Disneyland theme park), later employed a similar concept to create Chuck E. Cheese, and most likely had not seen Spacewar! yet (as discussed in the previous post), I tend to believe Dabney on this point. Bushnell’s ambitions soon changed due to his interest in Go. According to our interview, Bushnell began attending several Go clubs when he moved to Silicon Valley, including one at Stanford that counted SAIL worker Jim Stein among its members. As discussed previously, Stein invited Bushnell to come to SAIL with him and check out Spacewar! 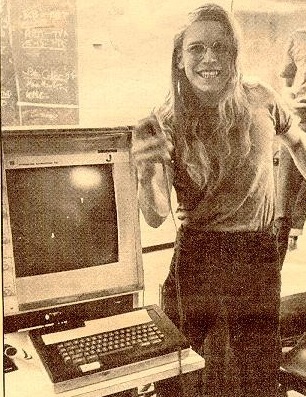 According to an interview with Bushnell in the 1973 documentary Games Computers Play, he greatly enjoyed playing the game at Stanford and suddenly realized — most likely due to his previous arcade experience — that there was probably good money to be made adapting the game to a commercial format. According to Gamers at Work, around this time Bushnell received an advertising flyer from Data General for the Nova minicomputer, and he figured that if he could combine the $4,000 computer with a cheap monitor, he just might be able to turn it into a viable arcade game. With his vast experience adapting monitors for Video File, there was no engineer better equipped for Bushnell’s new project than Ted Dabney. Therefore, according to Dabney’s oral history, Bushnell told him one day that he had to see this outrageous thing running at SAIL, took him to see Spacewar!, and outlined his plan to build a commercial version around a minicomputer. Dabney, who describes himself in his oral history as willing to go along with just about anything, was happy to help. Neither engineer had much experience working with computer software, however, so they would need to bring in someone else to handle programming duties on the project. Bushnell therefore turned to another friend in the Ampex Video File division named Larry Bryan. According to an interview conducted by Marty Goldberg, Larry Bryan was born in Florida and ended up in California for the first time when he was sent there for training by the Peace Corps, which he did not end up joining. A mathematician with a master’s degree from the University of Miami, Bryan was visiting an uncle in San Diego and waiting for a teaching job to begin in the summer of 1963 when he answered a job ad from UNIVAC for a programmer to work on defense projects, which he ended up accepting in lieu of the teaching assignment. Bryan had never really programmed before, but with his mathematical background, he picked it up quickly. In 1965, Bryan transferred to Washington, D.C. before going back to California briefly and then ending up in New Jersey working for Bell Labs on the Nike anti-ballistic missile project. After marrying a co-worker, Bryan moved to San Francisco in 1967 because he had previously fallen in love with the area and secured a job as the first programmer in the Ampex Video File division. 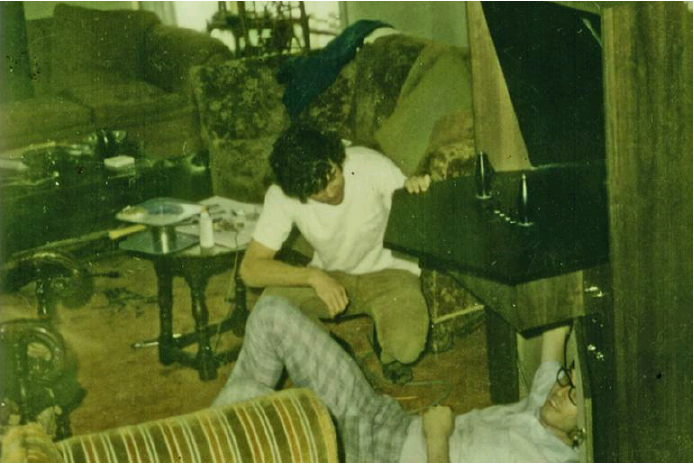 Bryan became friends with Bushnell through a mutual love of games, often playing chess and Go with him during lunch, and soon socialized regularly with him and his wife. Bryan was actually in the middle of a brief leave of absence from Video File when Bushnell called and asked him to join his video game team. Soon after Bushnell called Bryan, the three men met to discuss the project. According to Dabney, this meeting took place at Bryan’s house, while Bryan remembers the discussion taking place at Dabney’s house. 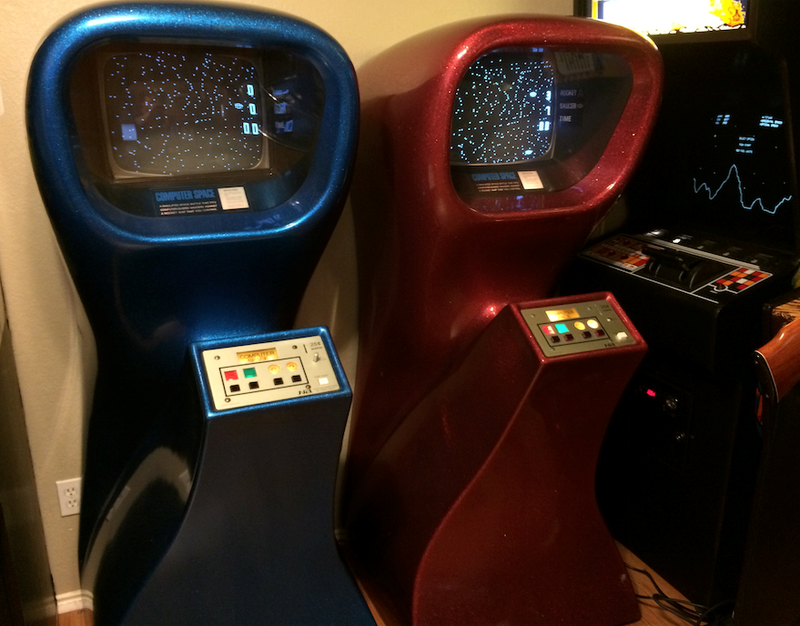 Either way, according to Bryan Bushnell outlined his plans to recreate Spacewar! on a minicomputer, and the trio agreed that Bushnell would do the electronic engineering, Dabney would do the video engineering, and Bryan would handle the software. According to an interview of Dabney by Retro Gaming Roundup, the trio also agreed to invest $100 each to get the project up and running, but Bryan does not remember ever being asked to contribute anything. Bushnell and Dabney apparently did, however, as in his oral history Dabney specifically remembers opening a bank account with an initial deposit of $100 and then adding Bushnell’s contribution to the account soon after. All three agree that whether or not Bryan was asked, he never contributed any money to the group. It should be noted that Goldberg and Vendel state the contributions were $350 each, but this contradicts Dabney’s recollection. It is true that by the end of 1971 both Bushnell and Dabney had paid in $350 according to Syzygy financial records, but I believe the additional $250 may have been contributed later, perhaps when the the partnership was formalized around the end of 1970. Two separate rounds of contributions would also explain why nearly every source that covers Atari states that the initial pay-in was $250 when the Syzygy records show an ownership contribution of $350. There is some confusion over exactly when some of the above events took place, with contradictions emerging between both Bushnell and Dabney’s later recollections as well as sworn testimony and the scant documentary evidence of the period. Goldberg and Vendel, following Dabney’s lead, state that the first meeting between Bushnell, Dabney, and Bryan to work out their partnership occurred in October 1969. Dabney also insisted the partnership began in 1969 when speaking to Benj Edwards for his article on the creation of Computer Space. 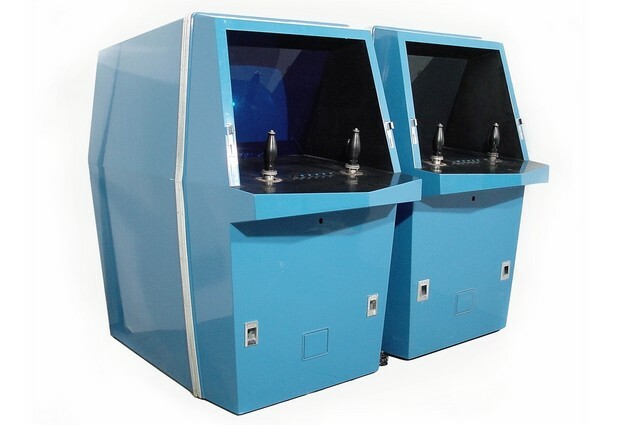 In both Gamers at Work and The Ultimate History of Video Games, however, Bushnell states that he did not broach the concept of an arcade game until he had been working at Ampex for about eighteen months. As he started in early 1969, this would place his initial recruitment of Dabney in the summer or early fall of 1970. Interestingly, Dabney himself stated to Goldberg and Vendel that Bushnell approached him about a year after he joined Ampex, which should put the first meeting in early 1970 rather than late 1969 by Dabney’s own estimate as well. Part of the confusion over the timing may stem from Dabney’s recollection, also confided to Edwards, that Bushnell joined Ampex in late 1968, which is most likely incorrect. In his deposition, Bushnell states he did not graduate from Utah until December 1968, so he was unlikely hired before early 1969. A biographical blurb on Bushnell prepared in 1982 on the occasion of his appointment to the National Advisory Council on Vocational Education also states he started work at Ampex in 1969. Unfortunately, Bryan was unable to pin any dates down in his interview with Goldberg, though he did indicate that the work he did took place around six months before Bushnell brought his game concept to Nutting Associates. As will be discussed in more detail later, Bushnell has always maintained that he first heard of Nutting in February 1971 and joined the company that March, so if those recollections are accurate, that would put Bryan’s involvement around mid to late summer 1970, which does jive well with certain other pieces of evidence discussed below. Bushnell’s 1976 deposition helps lock down the dates further. On this occasion, Bushnell states that he began considering the creation of a minicomputer-based arcade game in spring 1970. This actually contradicts Bushnell’s recollections to Ramsay that he approached Dabney in the summer and was not talking about the game until 18 months after joining Ampex, but it does line up well with Dabney’s recollection that he was approached about a year after Bushnell joined the company. As the deposition recollection is closer in time to the events in question than Bushnell’s later interviews and is corroborated by Dabney’s recollections of the general time frame of these events — though not his recollection of the exact dates — I believe their collaboration began in spring 1970. The above scenario leaves open the possibility that the big meeting between all three partners occurred in October 1970 as opposed to 1969, which is the conclusion reached by Michael Current in his Atari History Timelines, but this is most likely too late for such a meeting. In Bushnell’s deposition, one piece of evidence introduced was a listing from an August 1970 trade journal detailing the prices and capabilities of all the major minicomputers on the market. In his testimony, Bushnell stated that some work had already been done on the project before he received this listing in August. Furthermore, Bushnell also identified another document during his deposition that he believed was created by Bryan as having most likely been drafted in the summer of 1970. If work was already commencing during the summer and Bryan was already working with Dabney and Bushnell at that time, which is the implication of this testimony, then they probably had their first big meeting prior to October. Once again from Goldberg and Vendel, after agreeing to create what at this point was still an informal partnership, Bushnell, Dabney, and Bryan held several more meetings at Bushnell and Dabney’s houses over the following weeks to flesh out their plans and to come up with a name for their company. Initially, they preferred something that used their initials such as D&B Enterprises, but they decided that D&B could be confused with Dunn & Bradstreet, while B&D could be confused with Black & Decker. They were therefore at an impasse until Bryan mentioned a cool word he remembered hearing: syzygy. According to Bryan as told to Goldberg, he chose the word because he remembered it had something to do with the influence of three things, and they were looking to create a partnership of three people. According to Dabney’s oral history and Bryan’s interview, the trio proceeded to look up the word in the dictionary and confirmed that syzygy is defined as the nearly straight-line configuration of three celestial bodies in a gravitational system. Satisfied with this definition, the trio named themselves Syzygy Engineering. With a name, a team, a concept, and some initial funding in place, Syzygy now turned its attention to adapting Spacewar! for the coin-operated games market, an insular and conservative industry that was itself going through a period of great upheaval as new technologies promised a complete transformation of its products.